Home » Uncategorized » Just Who Is Chucky Lou and Why The Last Dance ? Just Who Is Chucky Lou and Why The Last Dance ? If I drive North on Hwy 51 from my cabin for about a half hour, I reach a favorite destination I visit often every summer. Built in 1909, Voss Resort is a landmark on Spider Lake in Manitowish Waters – and just off the highway on a corner of the grounds is Old Settler’s Inn. The old building is home to a quaint coffee shop that serves homemade everything, and a dimly lit bar that’s straight out of Dillinger days and Prohibition. Just inside the front door and to the left, is Chucky Lou’s Last Dance – a small shop filled with antiques, vintage northwoods whimsy, and a lot of fine eclectic stuff. It’s named after Chucky Lou, who is actually a mounted woodchuck dressed in a grass hula skirt with a garland on her head. Sharing a life together is sharing steps in time. 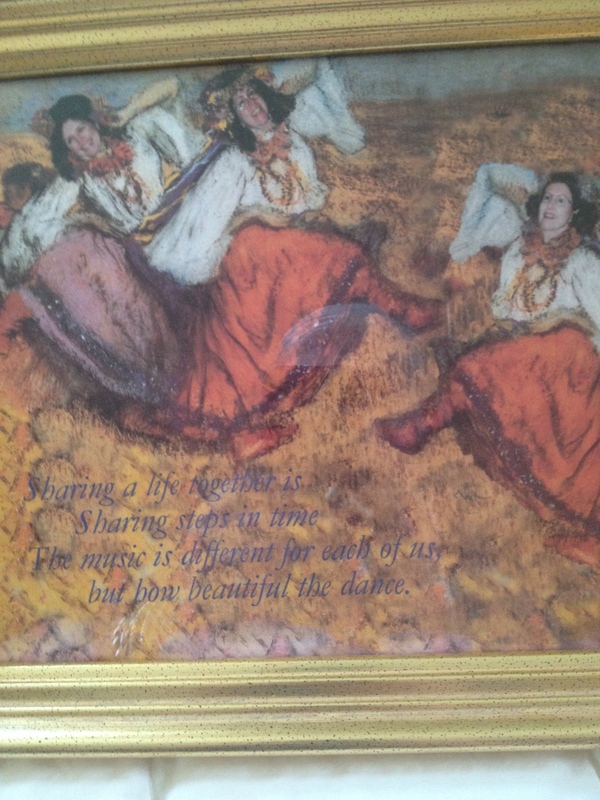 But how beautiful the dance. And that’s it. Chuckysueslastdance – chosen with the belief that my last dance will be just as beautiful as my first. * Next time I’ll tell you about buying hyacinths…..
What a poignant post. It beautifully explains your blog name, where you are in life, and how you feel about it. I’m dancing with you, Susie! Great post Susie, mostly because you know so many cool places! Let’s hope that the dance that you did with your sisters at Sarah’s wedding was your last “red-neck” dance…I still have nightmares. Love that Susie! Especially since we were there & had lunch. Also, I got one of my favorite necklaces in the shop. We all bought a bunch of great stuff. That was one of my best trips there too, Mary! We’ll do it again one day.